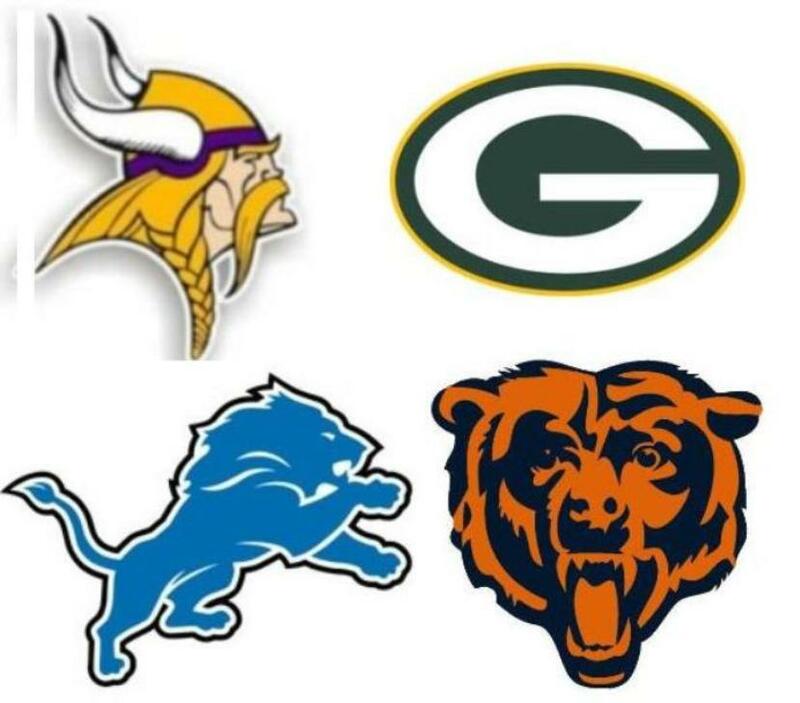 Today we look at the NFC North. The Bears needed to find a way to protect quarterback Jay Cutler. Step one was to acquire Jermon Bushrod to play left tackle. Then on draft day, they drafted Kyle Long. Long is a very raw player that only started 11 games for Oregon, the majority at right tackle. He will likely move inside and battle last year’s rookie Gabe Carimi for the starting right guard spot. Long has size and NFL bloodlines, but only time will tell if he can become a starter for the Bears. Jon Bostic is a fast middle linebacker. His 4.61 40 yard dash was third fastest in the linebacker group. After cutting Brian Urlacher, the Bears acquired D.J. Williams to play in the middle. Williams has played on both the outside an inside, so if Bostic can perform well, they could move Williams to the outside with Bostic as the team’s future in the middle. Khaseem Greene is another possibility as an outside backer. Greene is a former safety with good speed. He was a tackling machine at Rutgers. He will start off backing up Lance Briggs on the weak side. Briggs is still playing at a Pro Bowl level, but he is starting his 11th season and can’t play forever. Greene should be the heir apparent at the position. Jordan Mills is a big/versatile player that has played guard and tackle. He is very athletic, but is not very physical and needs to work on finishing his blocks. Mills will likely be looked at to provide depth at right tackle and could play at guard in an emergency situation. Cornelius Washington is an interesting player. If you look at his stats, you barely notice that he played at Georgia. However, Washington had some wow moments at the Senior Bowl. His measurables at the NFL Combine were also eye catching, 4.55 40 yard dash, 36 bench press reps, 39” vertical and 10’ 8” broad jump. Washington won’t likely be a double digit sack guy, but he plays with very good leverage and has a very good power move. He is a bit of a tweener position wise, but I think he could be a very good left defensive end which is more of a power position. Marquess Wilson had a very disappointing senior season. As a junior, Wilson caught 82 passes for 1388 yards (6th best in the country) and 12 TD. When Mike Leach came on board, it looked like the sky was the limit for 2012, but he got in the coach’s dog house, things got ugly, Wilson quit the team and accused the coach of abuse. This isn’t the first time Leach has had issues with a player, so here’s hoping that Wilson can seize the moment with this second chance. He has the talent to make it in the NFL, if he can put it all together. The Detroit Lions pick of Ziggy Ansah as the 5th overall player was an extremely risky move. Ansah is a very explosive athlete but he only started 9 games for BYU. I understand how teams can fall in love with his upside, but he could just as easily be another work out warrior that looks great at the Combine, but fizzles in the NFL. So what is he, the next Justin Tuck or the next Vernon Gholston? I can see either one being a possibility. The Lions worked with him at the Senior Bowl, so hopefully they know what they are getting. Since the Lions play a wide 9 defensive front, they may be able to line him up at the right end and allow him to just tee off and be disruptive. If they hit on him, then they could have an awesome defensive end, but if they don’t, they wasted a high draft pick. Let’s hope he works out for them. Haven’t the Lions needed a corner for a while now? They may have addressed that need in the 2nd round of the draft. Darius Slay was looked at as the “other corner” at Mississippi State until the NFL Combine. Johnthan Banks was believed to be the Bulldogs best corner, but then he ran a 4.61 40 yard dash while Slay ran a 4.36. All of a sudden, the scout’s eyes were opened and Slay ended up going higher than Banks. Although he was under the radar, Slay is extremely fast and athletic. He may need to bulk up a little for the next level, but the Lions got an extremely good corner with this pick. Larry Warford was my favorite guard in this draft. He is a brawler that dominates in the run game. Warford is a strong player that benched pressed 28 reps at the NFL Combine. The combination of strength and nasty disposition can only help the Lions improve their weak running game. Warford reminds of Hall of Famer Larry Allen and should be a starter on day one for the Lions. Devin Taylor was overshadowed at South Carolina by Jadeveon Clowney and Melvin Ingram. Quietly Taylor put together a solid career, ending up #2 on the Gamecocks all-time list for tackles for loss. Taylor is a powerful player that not only puts pressure on the quarterback, but also chases plays sideline to sideline. He will give the Lions good depth on the defensive front. In round 5, the Lions picked a punter, nuff said. In the 6th round, they picked Corey Fuller, a very raw receiver from Virginia Tech. He is a former sprinter that transferred to the Hokies from Kansas. Fuller had limited production, but you can’t coach speed. If he can learn the game at the pro level, he gives the Lions a deep threat to take pressure off of Megatron. Theo Riddick was an interesting pick. As a junior, he was a slot receiver and was their third leading receiver with 38 receptions for 436 yards and 3 TD’s. As a senior, he was moved to running back after the suspension of Cierre Wood. He flourished after the move, leading the team with 917 rushing yards and 5 TD’s. Riddick is a slippery runner that can make things happen in space, but he also embraced the additional contact that running backs take. He will have his work cut out for him with Reggie Bush, Mikel Leshoure, Jahvid Best and Joique Bell already on the roster. He will likely be a practice squad player that could contribute as a 3rd down back if given a chance to get on the field. Michael Williams is a massive tight end that was almost like having a third tackle on the field for the Crimson Tide. He has better hands than you think and he is a threat in the red zone. Williams didn’t have great production and doesn’t have great speed, but he seemed to find ways to get open when Alabama needed him. I have not seen Brandon Hepburn play, but the book on him is that he is a high effort player that should be an excellent special teams player. Do the Packers ever have a bad draft? Year in and year out they excel at drafting players that fit their team. Datone Jones was a defensive end at UCLA, but he had his best production as a defensive tackle in passing situations. I believe he is a better fit in the Packers 3-4 scheme than in a 4-3 scheme. He will be able to move inside on nickel and dime defenses and should help the inside of the Packers pass rush. Jones will have a chance to start at the right defensive end position. How long have the Packers needed a running back? Now they have two really good backs. Eddie Lacy is a big, powerful runner that is deceptively light on his feet. He rarely takes a big hit because of his spin move. When the Packers get into the red zone, they now have a threat to take it between the tackles and score. David Bakhiatiari is a versatile tackle that has played on the left and right sides. He finished his career at Colorado on the left side. Bakhiatiari has the feet and athleticism to play left tackle, but doesn’t have quite the build that most NFL team’s like. Last year, Marshall Newhouse was the starter on the left side, but had issues. Right now, it looks like they may flip-flop Newhouse and Brian Bulaga, but there is also concern that Bulaga can handle the left side. Bakhiatiari may have a chance to nail down the starting left tackle position if Bulaga struggles. J.C. Tretter was a left tackle for Cornell. He likely will end up playing guard at the next level. Tretter has good ability, but may need a while adjusting to the speed of the NFL game. He will begin his career backing up Josh Sitton and TJ Lang at guard. Despite spending a 2nd rounder on a running back, I really like the pick of Johnathan Franklin. I believe he was the most versatile running back in the draft. He has good vision and cutback ability with good burst. Franklin is also a good receiver and stood out in Senior Bowl practices with his pass blocking ability. Don’t be surprised if Franklin ends up as the starting running back. Micah Hyde will give the Packers good depth in the secondary. He has good size for a corner and plays good tight coverage. Hyde can also return kicks which gives him a better chance at making the final roster. Josh Boyd was a defensive tackle at Mississippi State, but will likely play defensive end for the Packers. He plays with good leverage and low pad level. Boyd has good strength and can push the pocket from the inside. He has his work cut out for him to make the roster and may end up on the practice squad. Nate Palmer was a two year starter who had 15 tackles for loss his senior season. The Packers will have him competing for a spot at outside linebacker behind Nick Perry and Clay Matthews. I have not seen Charles Johnson play, but there was a late buzz beginning at his pro day. He has good size and ran a sub 4.4 40 yard dash. He has a chance to become the team’s 5th receiver. Kevin Dorsey is another receiver with good size. He had a good junior season, leading the team with 45 receptions. He fell to 18 catches his senior year due to issues at quarterback, but averaged over 17 yards per catch with 4 touchdowns. He is likely a candidate for the practice squad. Sam Barrington is a versatile linebacker that has played inside and outside. He had better stats when he played outside, but the Packers may look at him as an inside linebacker. He has a big hill to climb to make the roster. I sure hope Leslie Frazier spends time with his kids this summer. Beginning with training camp he will have three young #1 draft picks to get up to speed. Sharrif Floyd was believed to be a top 5 pick, then fell all the way to the 23rd pick of the draft. Floyd will get to learn from Kevin Williams who is 33 and probably doesn’t have many years left. Floyd will be Williams eventual replacement and will likely have a chip on his shoulder after so many teams passed on him. He should be disrupting NFC North opponents for several years to come. Xavier Rhodes is a big corner that has also played safety. After cutting Antoine Winfield, the team had a need at corner and Rhodes will be given a chance to be a starter on day one. He is a physical player whose style should fit in well with the Vikings scheme. Cordarrelle Patterson is extremely raw, but is one of the most explosive players in the draft. Patterson only played one year at Tennessee and doesn’t have great hands but when he gets into the open field he is special. The Vikings traded for Greg Jennings and also have Jerome Simpson, so Patterson may be allowed to develop as the third receiver and return kicks. Gerald Hodges is a former safety whose strength is in pass coverage. Hodges can play man coverage against running backs and sometimes even tight ends. He should be given a chance to play in nickel and dime situations. In the 5th round the Vikings took a punter…. yawn. Jeff Baca was 2nd team All-Pac 12 in 2012. He is a good drive blocker that does a good job opening up holes for the running game. Adrian Peterson will love this guy once he gets onto the field. Baca may have a hard time making the 53 man roster, but he should at least make it to the practice squad. Michael Mauti was the emotional leader of the Nittany Lions, particularly after the NCAA sanctions against the program. Mauti had an opportunity to leave what many believed to be a sinking ship, but he chose to stay which speaks to the character of this young man. He makes plays all over the field and has played both outside and inside. The Vikings will likely look for him to make an impact at middle linebacker. He is one of those guys that are characterized as good football players that you have to find room for on the roster. Travis Bond is a mobile guard that does a good job on traps and sweeps. He will have a hard time making the 53 man squad but could be a candidate for the practice squad. Everett Dawkins may also have an uphill battle to make the final roster, but he has talent. He gets off the ball quickly and can push the pocket up the middle. He may need to bulk up a little bit to make it as an every down player at this level, but he could be effective rushing the passer in nickel and dime situations. This entry was posted on June 3, 2013 by draftmaniacs in Draft Analysis and tagged 2013 NFL Draft, 2013 NFLDraft, Chicago Bears, cordarrelle patterson, Datone Jones, Detroit Lions, Eddie Lacy, Green Bay Packers, johnathan franklin, Jon Bostic, Khaseem Greene, Kyle Long, Minnesota Vikings, NFC North, NFL, NFL Draft, Sharrif Floyd, Xavier Rhodes, Ziggy Ansah.